With members from both Turkey and Ukraine, Lostpray arrives with their debut album, That's Why. Their music is a hybrid of sorts, a mixture of melodic hard rock with the edge of traditional heavy metal. Something not uncommon across the genres. Something of interest, however, comes from the fact that vocalist Tufan Cigdem was a contestant on the Ukrainian version of The Voice. And his voice is a curious thing, in a good way. On some songs, in combination with the music, he has the timbre of Metallica's James Hetfield. You might catch this on Alienation, The Blessed One, and The Story Ain`t Like No One Knows. Cigdem has a powerful and soaring voice, easily the centerpiece of the song Zero to Hero. He's more soulful, less hard rock and metal, on Killing Me. Mentioning that venerable band is not to say that Lostpray is trying to sound like Metallica, yet the influences are obvious. There's more here like some additional nods to more popular and modern post grunge sensibility, notably within Killing Me and By My Dame. Alternatively, Lostpray can be keenly heavy, even thrashing, with Speakers of Evil. Again some of that Metallica vibe, like Creeping Death vibe, may come through. 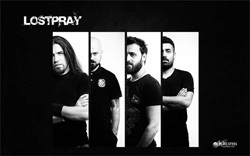 But the significant thing about Lostpray is that their music stays sharp, sounds fresh, with strong well-developed arrangements that juxtapose heaviness with melody, harmony, and catchy hooks. Armed with Cigdem's impressive vocals they've crafted some entertaining songs with their fusion of heavy metal and hard rock. Honestly, I was both surpised and impressed by the band and the depth of their music. Easily recommended. 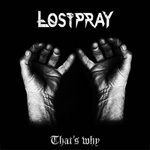 While comparisons will be made, at times, to a certain iconic metal band, Lostpray fuses the best of classic heavy metal with accessibility of traditional and modern melodic hard rock for an entertaining and surprising album.